We've made some major break through over the last few days with CentraSphere, The first fully working demo is just lurking around the corner! We've decided to make a a number of changes to the arena. Firstly upon testing we found there too be too many obstacles, the arena has since been fully reworked to allow for more open areas. After testing in the Rift we found the level design to be very hard on the eyes leaving the testers with headaches after a prolonged period of time. To rectify this we have reversed the colour system, instead of the lines glowing and changing colour to the timer the panels change instead. We are very pleased with the result and find it a much more enjoyable experience. 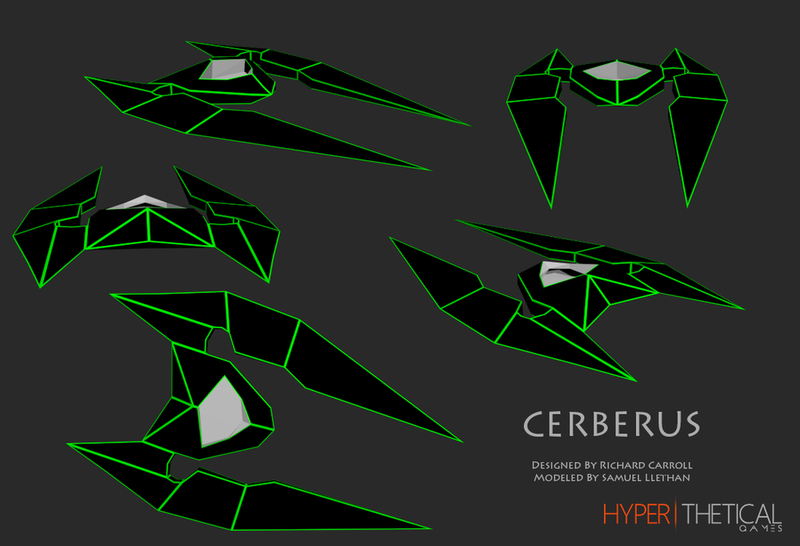 We would also like to introduce you to our first playable ship Cerberus! The ship was designed by a very talented engineering friend of HTG. In the final release version of CentraSphere we hope to have a number of playable ships for the player to use and unlock along with changeable colours individual players. Although due to time restrictions only Cerberus will be able at SWVR. The launch of our first game has gone well, and we are getting positive feedback from the community! We have also heard that a couple websites are going to review Ele-mental and are quite excited to see the results. If you're sat on the fence about getting Ele-Mental and are waiting for the views of others first, links will be posted on our Facebook and Twitter when they become available. We hope to be releasing an update soon that will allow the game to be playable on PSTV, along with updated music and other goodies! We would love to hear what you have to say on Ele-Mental, whether it is praise, annoyance or you simply want to share your high scores! Not much to say at the moment accept work on Ele-Mental 2 has begun. We are aiming to release Ele-Mental 2 on multiple platforms to able to share with a much wider audience. A demo will be released on the PC and Mac so make sure to keep an eye on our blogs, twitter or facebook for more information! And Finally! We would like to take this opportunity to thank all our new followers! Your help and support spreading the words of HTG is highly appreciated!